Last night I finally got to see Evita after 10, maybe even 20 years of hinting. My love affair started with Evita when I was around 8ish, maybe earlier? I have said before that I am not a show critic, but a theatre lover. And oh my, it was an emotional roller coaster, so yes let’s get this out the way before I start. I knew it would be emotional, if not purely for the years of waiting to see it. But I sobbed, unattractive shoulder shaking crying, thankfully I was not the only one and as we made our way out of the theatre, at the end of what I can only describe as spectacular show, people were celebrating such an emotional journey delivered with such style and finesse. Evita had hit the West End and Don’t Cry For Me Argentina was being played everywhere. It’s the first time I really recall being aware of Musical Theatre outside of Oliver (my uncle was in the original show and film) I fell in love with the song the very first time I heard it. I clearly remember being at my friend Jessica’s house, her Mum was playing the soundtrack and Jess wanted to turn it off and listen to the charts and I was horrified at the thought of turning this beautiful music off. And then came the Madonna Film, the uproar at Madonna playing Eva Peron! Who of course went on to win a golden globe for her outstanding performance. How do you beat that, Madonna and Antonio Banderas and the many greats who have played this wonderful tale spectacularly before them? As I listen to the soundtrack, feeling all of the emotion I felt last night. 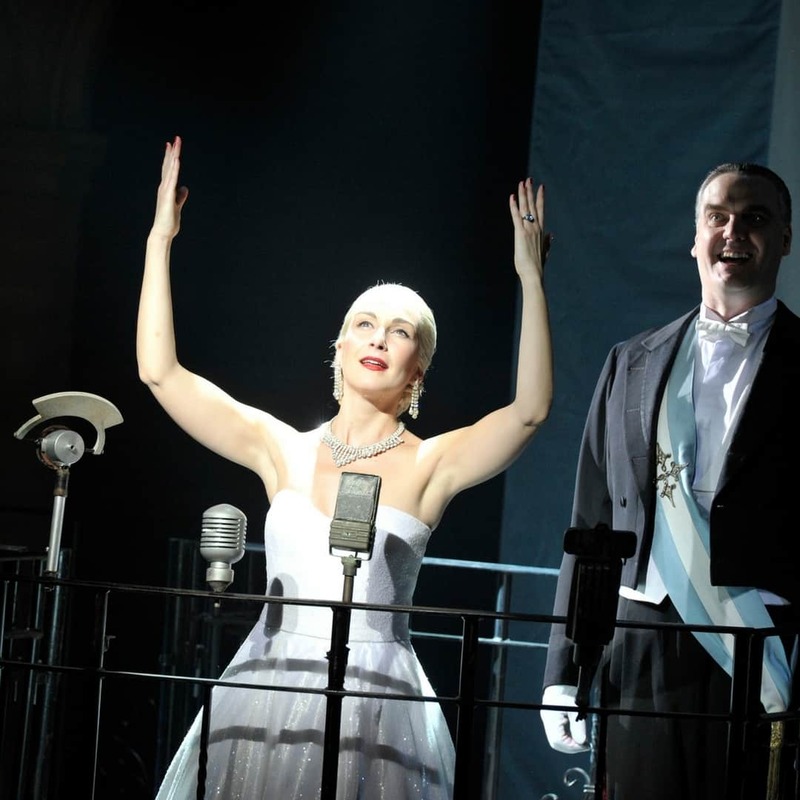 I can honestly say that Madalena Alberto portrayed Eva Peron in the most beautiful, powerful way that brought a whole audience to a standing ovation and many to tears. And can only speak of what I see and how that relates to my tastes, my life and me. 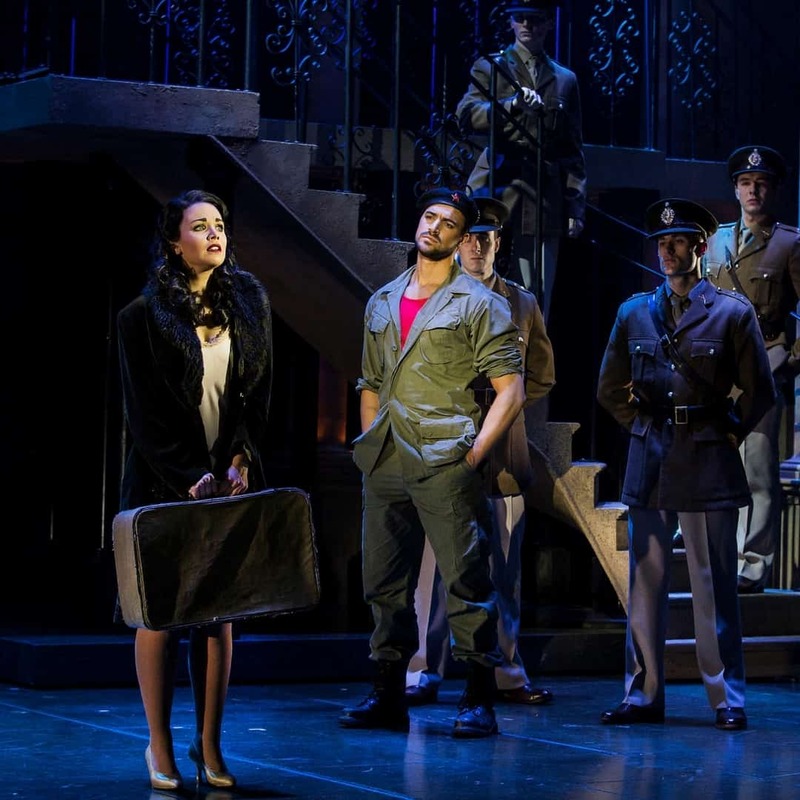 Evita is a story I have adored all of my life. A soundtrack I have never tired of playing. You might say I would be hard to please, loving the previous score so very much, knowing it word for word, note by note. However quite the opposite, all those years of waiting were worth it. Evita was spellbinding; the first half seemed to only last for 15 minutes, I didn’t want it to end. At points I found myself holding my breath, wanting to burst into song or fighting back tears. It was beautiful, emotional and captivating. The cast was perfectly selected with Gian Marco Schiaretti portraying the perfect Che, who at points had you following his every move rather than what was going on in the story. And Jeremy Secomb playing Juan Peron impeccably, you could feel love for Evita pouring out of him during the death scene. With choreography that had me glued to each number, trying to take it all in and not knowing where to look first. Don’t Cry For Me Argentina was everything I hoped for, as the audience sat enamoured and the incredible set, that seemed to dance seamlessly along with the show projected Ava up and forward to the front of the stage, making you feel part of such an important moment in time. The death scene was emotional and left me feeling somewhat drained, however was so beautifully portrayed in a simple way that gave the scene more weight and clarity. If you haven’t guessed I LOVE and ADORED Evita, it was everything I have anticipated for all of those years, emotional, beautiful, inspiring. And if you love the score, the film, musical theatre or the story then it’s a must. I left feeling a bit blown away like I had just experienced a life moment.